CDBArticlesChina Has Changed. How Should Overseas NGOs Adapt? Over the past few decades, international non-government organisations (from here on referred to as overseas NGOs) have played an extremely important role, from directly helping impoverished and vulnerable groups to improve their living and development conditions, to promoting the development of China’s modern non-profit sector. During these decades, dramatic changes have happened in China. These changes include the rapid improvement of the Chinese economy and of poverty levels, the rise of domestic non-profit organisations, and the standardisation of the related legal and policy environments. Along with these changes, overseas NGOs have also changed regarding the direction of their projects, models of cooperation with local partners, and their own role within project cooperation. Now that China has become the world’s second largest economic power, and both the Charity Law and the Overseas NGO Law have come into force, the changes have accumulated to a stage where everything is almost totally different from the time when overseas NGOs started their work in China. In this brand new environment, how overseas NGOs can adapt to these changes to go on demonstrating their value and gain their place within the sector is the question each overseas NGO needs to answer. 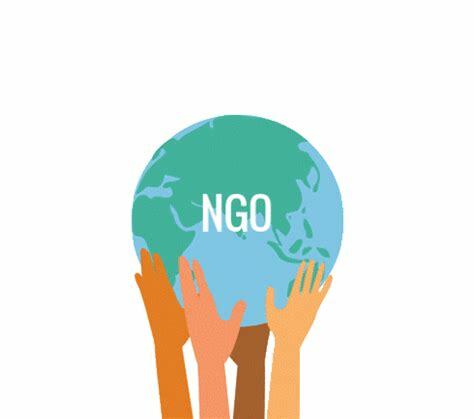 By reviewing the changes in the past decades, this article is trying to provide some thoughts for overseas NGOs’ strategic repositioning under the new conditions and environment. In the 1980s, with the reform and opening up, many overseas NGOs started their work in China. Over the past 30 years China has experienced great changes. These changes can roughly be split into three stages. In the 1980s and 1990s, China’s domestic civil society organisations (from here on referred to as domestic NGOs) practically did not exist. Local revenues were very small, and it was common for a county to have an annual revenue of only a few million RMB. Poverty was widespread, and the demands of the poor still centred around basic living conditions such as food, shelter, and clothes; there were also no laws and policies for managing international NGOs. On the other hand, due to China’s poverty levels at the time, along with the curiosity towards the newly opened-up country, donors in developed countries across the world were very enthusiastic about funding projects in China. There were many cases where the annual project input from an overseas NGO in a single county was close to or even exceeded the local government’s revenue. In this sort of environment, overseas NGOs would directly cooperate with the local governments for project delivery. The projects mainly focused on grains and livestock, drinking water, immunisation, basic education and sanitation etc.. As the project activities were very close to the plans and goals of the local governments, and due to the large amount of funding overseas NGOs could bring to the projects, the local governments were generally very enthusiastic in seeking cooperation with overseas NGOs. The cooperation was often protected by an MOU signed between the local government and the overseas NGO, and project offices were often jointly set up to care for the project delivery. Overseas non-profits would often have a strong bargaining power in selecting partners for cooperation and deciding the project direction. During this time, while directly helping a large number of poor and vulnerable people to improve their living conditions through their projects, the overseas NPOs also introduced development concepts and approaches into China and helped to train a group of local development and non-profit researchers and practitioners. This contribution laid a positive basis for the creation of the modern Chinese non-profit sector at a later stage. After decades of hard work, China achieved huge improvements in its poverty alleviation and general development. First of all the basic conditions for life, such as the provision of food, shelter, and clothes, were no longer the biggest issue, and the major needs of the impoverished population turned to increasing the living standards and improving the development conditions. Secondly, the registration of domestic NGOs became possible in some places, and more and more domestic NGOs came out and became important players in the sector. Thirdly the economic strength of the local governments greatly increased, and it was not a surprise for a county to have an annual revenue of hundreds of millions of Yuan. The increase in the local economic strength also indicates that more and more government funding was available to improve the living and development conditions of the poor and vulnerable. In contrast to these positive changes within China, international donors became less and less interested in continuing to support China projects, and thus the amount of project input that overseas NGO could offer began to decrease accordingly. In terms of the legal and policy environment, though discussions on the development of an Overseas NGO Law could be seen everywhere, and experiments with the registration for overseas NGOs began in Yunnan province, there was not a big change in the general sense. Along with these changes, overseas NGOs started to incorporate more and more “soft” activities in their projects, such as capacity building and community participation and empowerment. With the decreasing project input and “softening” projects, the local governments became less and less interested in direct cooperation with overseas NGOs. However the emergence of local NGOs provided opportunities for overseas NGOs for project partnerships. At the same time, more and more overseas NGOs began to register as foreign companies in the hope of having some kind of legal status for operations in China. 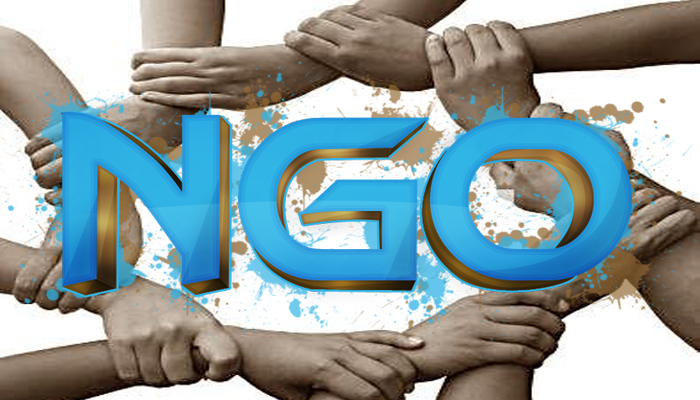 During this time, while continuing to help the poor and vulnerable to improve their living conditions and development capacity, overseas NGOs also supported the creation of a group of local non-profit research institutes and supporting platforms, and cultivated a large number of domestic NGOs and non-profit practitioners. All these efforts meaningfully contributed to the formal emergence of the modern Chinese non-profit sector and its rapid expansion. From 2016, the Charity Law and the Overseas NGO Law started to take effect. The introduction and implementation of the Charity Law is generally considered to be positive for the development of domestic NGOs, and the facts have proved this judgement correct. In the following two years, the number of newly registered local NGOs became historically high. However, from the perspective of sustainable development, this expansion is merely a growth in quantity rather than quality. Many domestic NGOs are still at the initial stage in their capacity, both at the institutional governance and administration level and at the operations level. At the same time, a large number of new domestic NGOs coming into place also means a rapid expansion of the number of non-profit employees. Considering the poor reserve of talents in the non-profit sector, this means that a large number of employees are new-hands who are poorly trained. Therefore, without a timely enhancement of the professional capabilities of the local NGOs and their employees, the impact and effectiveness of their work is questionable. For overseas NGOs, the introduction and implementation of the Overseas NGO Law is both good news and bad news. The good aspect is that it is now possible for overseas NGOs to eventually obtain full legal status. The bad aspect is that this law, particularly in the areas of registration requirements and fundraising within China, has not met the sector’s expectations. Some overseas NGOs are so pessimistic towards the law that they eventually decided to withdraw from China. After the law was put into execution, the relevant government departments demonstrated a positive attitude towards helping overseas NGOs in their registration, and many of the major overseas NGOs successfully registered. However there is a big number of overseas NGOs, especially the small ones lacking sufficient influence and networks, that is still cannot get registered, as they are unable to find a proper professional supervisory unit (PSU) to endorse their registration. Furthermore, with the implementation of the Overseas NGO Law, having the legal status of a foreign company is no longer proper for an overseas NGO that wants to continue its work in the non-profit sector. On the other hand, with the rapid increase in China’s economic strength, the number of international funders willing to support projects in China has continued to decrease, leading to a further reduction of funding income for overseas NGOs in China. Moreover, the law’s restrictions on overseas NGOs’ fundraising within China have dashed their hopes to counter this reduction in funding. On the demand side, with the advancement of urbanization and industrialization in China, the trend of rural migrant workers seeking jobs in the cities has continued, ending in a hollowing out of many rural communities. As a result, many poverty reduction and development projects have found themselves short of labourers to carry them out and with a shrinking body of beneficiaries. At the same time, the infrastructure and living conditions in poor rural areas have continued to improve; and urban social problems around the migrant population have become more and more obvious. On the other hand, the government has offered more and more resources and opportunities to domestic NGOs by meaningfully expanding the “services purchase” program. As mentioned above, the working environment for overseas NGOs has changed dramatically compared with what it was decades ago, when they began their work in China. Generally these changes have included the following points: (1) the poverty situation has been greatly improved; the impoverished and vulnerable population is spreading from rural villages to urban areas, and their needs are becoming more and more diverse; (2) the government has been offering more and more resources to domestic NGOs; (3) the number of domestic NGOs is rapidly increasing, but their capacities are yet to be upgraded; (4) laws related to the charity sector have been officially put into force and cannot possibly be revised in the near future. On the other side the income for overseas NGOs keeps decreasing, and there is no hope to raise funds from within China to counter this trend. However overseas NGOs have accumulated a rich experience in non-profit development, including in accountable institutional governance, management and operation, and development values, principles and approaches. Under the current circumstances, if overseas NGOs in China cannot catch up with the external changes and stick to their previous stance and working model, it will be very hard for them to continue to play a valuable role in promoting the development of non- profit in China. Thus, overseas NGOs will have to deeply re-evaluate their external circumstances and their internal strengths and weaknesses, and strategically update their project directions and approaches and their cooperation models with their partners on the basis of this assessment. Only in this way can they maintain their advantages and values in the face of these challenging conditions. During this process of review and assessment, the following questions need to be answered. Are you an executor, a leader, an advocator, or a facilitator? Do you serve your target group directly or fulfil your mission by working through local partners? Should you continue the traditional projects, or leave these projects to local forces and focus on something cutting edge and exemplary? Do you primarily offer your partners funding or improve their capacities for self-development and impactful project execution? Do you provide funds directly or help your partners to raise funds locally? As long as overseas NGOs can fully analyse their environment and redesign their strategies in a spirit of “developing and innovating with the times”, they will find their own place of value within the new environment. What have Overseas NGOs brought to China?